This is officially my third week of the low-carb lifestyle. Honestly, I have to admit that I already FEEL a lot better. My cravings are manageable or non-existent. I'm able to say "no" now, and it isn't the end of the world. Today I had an unplanned lunch out with colleagues at a Mexican restaurant. I ordered chicken fajitas will bell peppers only, no beans, no rice, no tortillas. Add cheese and guacamole and sour cream. I felt good about that choice and it was easy to skip the tortillas or the chimichanga I usually indulge in. I drank water instead of diet soda. It felt like a win. Did I mention I FEEL better? Yes. I am definitely eating in a more 'keto' fashion than I had planned. 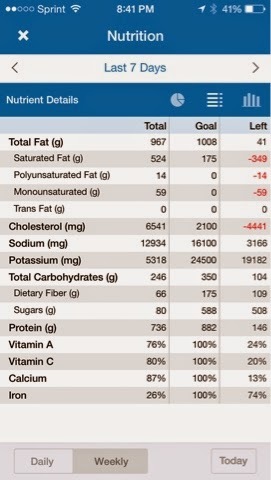 But higher fat makes me so much more satisfied. I did weigh in after deciding that I hate the scale and I never want to weigh again. 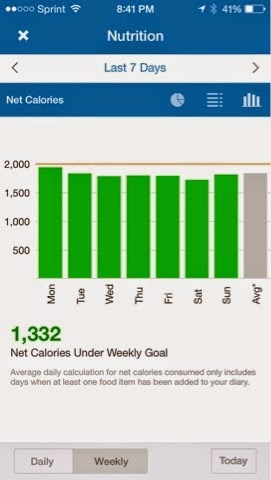 From Monday, March 9 to Monday, March 16 I went from 289.2 to 285.3. Not fast weight loss, but at least I'm going in the right direction. I think my body is just like, "f*ck you" and doesn't want to give up the fat. I will keep going. I am also running more, but I need to be consistent. Good weather is showing it's pretty face in Tennessee, so outside neighborhood runs will be easy. No excuse that the gym is too far away, and the elliptical is soooooo boring. Good for you Hollie!! You're on the right track!! Fantastic! Good Going!!! Sounds like you have a plan that you can enjoy and follow through on ... that makes all the difference in the world ... and you know those numbers look great to me!!! Good Job! It only gets easier. Once I weaned myself off sugar and grains I no longer wanted them. All the best! Awesome! You can do it! Please keep us posted...I can't do this without other blogs like yours, knowing there are others going through the same thing! Good job Hollie. I have only just found your blog, and have enjoyed reading it. I am going to restart a blog that I neglected for a long while. Hopefully this will be the year to lose for me! 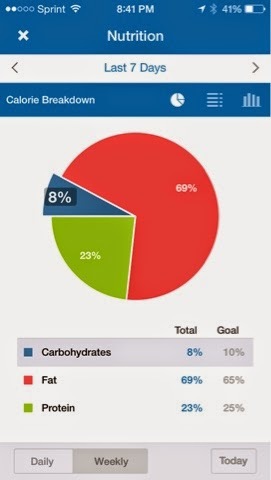 It is so much easier to eat right on a low carb plan. Cravings go away and hunger fades... it does work. Sticking with it forever is my problem. Do you see yourself eating this way long term? Good to see you're doing well!